The fourth installment in an overwhelmingly popular first-person shooter series from Infinity Ward. This time the developers from Encino, California, have decided to break away from the tradition of making World War 2 games and set the action of their new game in modern times. Call of Duty 4: Modern Warfare’s story features a conflict with Russian ultranationalist faction, led by an unpredictable individual named Imran Zakhaev. Players get to witness the events through the eyes of several soldiers, including members of the British SAS and US Marines. The main story campaign consists of a series of missions set in different parts of the world. Gameplay relies heavily on cinematic, scripted shooting sequences. In addition to the single player mode the game includes expanded online multiplayer. When it comes to technology, Call of Duty 4: Modern Warfare is powered by IW Engine. 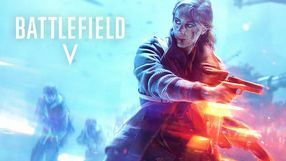 The third installment in the first-person shooter cycle that focuses heavily on faithful recreation of the modern battlefield. 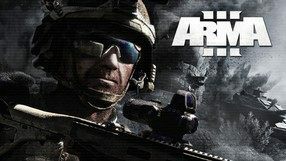 The action of Arma III is set in the near future, where a conflict in the Middle East has greatly weakened NATO forces. A small island in the middle of the Mediterranean is of key importance to the stability of this part of the world, and it is there that the events of the story-driven single player campaign take place. The production of the Czech studio - Bohemia Interactive – stands out due to the extremely thorough and realistic re-enactments of operations of actual military assets, including a variety of vehicles. A well-developed mode for online multiplayer skirmishes is one of the game’s greatest strengths. Arma III features high-quality graphics generated by the Real Virtuality engine, as well as a set of fully functional modding tools, allowing you to create your own scenarios. A first-person shooter and the seventh major installment in the Wolfenstein series. This one was developed by Swedish studio Machine Games, founded by former members of Starbreeze Studios. Wolfenstein: The New Order tells an alternative history of the World War II, where the Third Reich won. The game’s main hero is B. J. Blazkowicz, a veteran of the American special forces. After spending 20 years in cryosleep, he has to stand up to the Nazis once more. The gameplay boils down to annihilating armies of enemies with all sorts of weapons, and occasionally solving simple puzzles. The game’s advanced graphics are powered by the efficient id Tech 5 engine, also known from Rage and The Evil Within. A spectacular first-person shooter (FPS) set during the Second World War. The game was developed by Treyarch, Activision’s subsidiary. It’s three-chapter campaign spans across the years 1942-1945, being set on Southern Pacific and the Eastern front. We observe the events from the perspectives of three soldier (two Americans and one Russian), and we get to take part in such military operations as the defense of Stalingrad or the Battle of Okinawa. As usual in the Call of Duty series, the missions are heavily scripted to make the action seem more cinematic. Gameplay boils down to shooting sequences, in which we use a variety of historical weapons. In addition to a single player campaign the game also includes online multiplayer with new game modes: co-op and Nazi Zombie. The third part in the first-person shooter series being one of the spin-offs of the Call of Duty franchise. 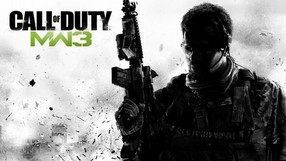 Call of Duty: Modern Warfare 3 was developed by Infinity Ward with the assistance from other development studios owned by Activision – e.g. Raven Software and Sledgehammer Games. The plot continues the action of the first two installments of the game. Players are presented with the further fates of the members of Task Force 141 as they try to eliminate the leader of the Russian Ultranationalists responsible for the outbreak of the international conflict. Developers draw on the well-proven formula employed by the previous installments, such as the spectacular, yet heavily-scripted single player campaign, dynamic shootouts and numerous multiplayer modes. The fourth generation of the IW Engine provides high-level audio-visuals. A first-person shooter, the seventh installment in the Call of Duty series, and a start of a new sub-series. 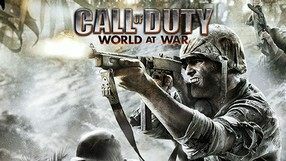 The game was developed by studio Treyarch, the team responsible for Call of Duty: World at War. The story campaign of Call of Duty: Black Ops is presented in the form of flashbacks suffered by the main protagonist, Alex Mason. Having previously worked for the CIA as a field operative, in his memories Mason returns to the age of Cold War. The game offers several single and multiplayer modes, including cooperation and zombie mode. Call of Duty: Black Ops is is powered by modified versions of IW Engine 3.0 and Demonware. A first-person shooter set during World War II and an attempt at refreshing the legendary FPS Wolfenstein 3D, a breakthrough installment in the series that originally began in 1981. It was developed by a previously unknown studio called Gray Matter, although id Software, the creators of the original, kept watch over the development process. In the game, we assume the role of an American soldier of Polish descent, B.J. 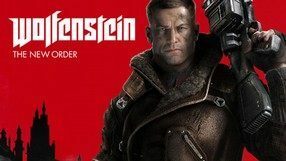 Blazkowicz, who is tasked with stopping a secret Nazi experiment that aims to resurrect prince Heinrich I and use his power to gain upper hand in war. During his mission, the protagonist has to face various enemies that include not only SS soldiers but also creatures that are the result of the secret German experiments and supernatural powers. The game’s multiplayer mode is its big asset—players are divided into Allies and Nazis, and each side has different tasks to perform. The high-quality graphics are powered by a modified Quake III engine. A sequel to the bestselling first-person shooter developed by Infinity Ward in 2003. The action of the game once again takes place during the World War II, offering three campaigns spanning across 1941-45. During the game the player switches between an American paratrooper dropped in Western Europe, a British commando fighting in Northern Africa and France, and between a Russian infantryman deployed on the eastern front (including Stalingrad). 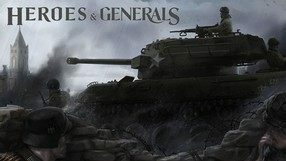 Similarly as in the original game, the developers managed to successfully recreate the atmosphere of historical battles – in terms of graphics as well as sounds. In addition to the large arsenal of actual weapons from World War II, the player can also use vehicles (for example tanks). In comparison to its predecessor, Call of Duty II is less linear, features improved AI, and the player no longer has to use first aid kits (instead, the health regenerates automatically). Graphics were greatly improved as well. A sequel to the bestselling first-person shooter released in 2010. 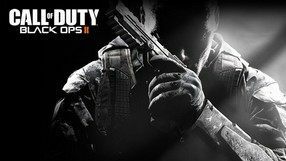 Call of Duty: Black Ops II is the ninth installment in the Call of Duty series. It is also the fourth game in the series developed by Treyarch. The story of the game takes place in a not too distant future. The struggle for natural resources between United States and China leads to an outbreak of a new Cold War. The main protagonist of the game is David Mason, descendant of Alex Mason known from the first game in the series. The main campaign of the game is once again filled with spectacular cinematic action. At the same time, the player has more freedom in completing the missions. In addition to single player mode, Call of Duty: Black Ops 2 offers also numerous multiplayer modes. The fourth installment in the series of real-time war strategies started in 2000 by Fireglow studio. After the franchise was taken over by Kalypso Media, the task of creating a new installment was given to the young team from Kite Games. 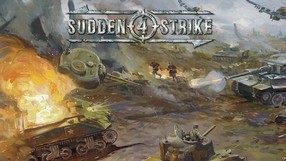 Similarly as previous installments of the saga, Sudden Strike 4 takes place during World War II. In the game the player controls the armed forces of Germany, USA, Great Britain and Soviet Union, participating in battles during three large story campaigns and multiplayer skirmishes. The players can choose from more than one hundred varied units and from large variety of tactical options such as ambushes, using buildings as strong points, calling for air support or taking advantage of tanks' weak points. The greatest novelty introduced in this installment are much larger maps and the addition of nine generals based on historical figures. Their unique abilities can turn the tide of battle. A first-person shooter and a sequel to the bestselling Battlefield 1942 (2002) and Battlefield Vietnam (2004) - both developed by DICE. 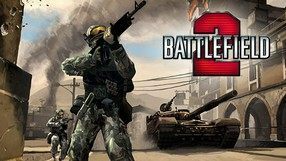 Battlefield 2 is set in modern times and the singleplayer story campaign is centered around a fictional conflict between the United States, The People's Republic of China and the Middle Eastern Coalition. The player is put in the shoes of a soldier participating in a series of dangerous military operations, with various kinds of weaponry and vehicles (above all, the M1 Abrams tank and the UH-60 Black Hawk helicopter) at their disposal. The game stands out with its extensive multiplayer mode, which can be enjoyed via local area network or online. Also, Battlefield 2 offers high-quality visuals generated by the Refractor 2 engine. A tactical first-person shooter developed by 2015 and the first PC installment of the series which was launched on PlayStation in 1999. The action takes place between years 1942 and 1945, and the players assume the role of an American ranger Mike Powell who, being an operator of the OSS intelligence service, takes part in the most famous campaigns of the World War II. In the game, there are 20 diversified missions to perform. They involve not only subtle tasks behind enemy lines but also large-scale military operations such as the famous landing in Normandy. Our arsenal includes over 20 faithfully recreated weapons of the World War II period as well as stationary guns and over a dozen different vehicles. The title's visuals are powered by the Quake III engine. The production features an orchestrated soundtrack composed by Michael Giacchino who is known for such movie hits as Star Trek and Lost. The fifth installment in one of the most popular WWII submarine simulation game series. In Silent Hunter 5 you are sent to the Atlantic Ocean and the Mediterranean Sea, where, as the commander of a German U-boat VII, you hunt down the ships of the Allies. There is a dynamic campaign to complete, and your actions, victories and losses affect its outcome. It's worth noting that the campaign also includes historical naval battles. One of the game's novelties is the fully interactive interior of the submarine. In this mode the controls system is similar to that of an FPS game. You can only do one things at a time, which means that you have to rely on your subordinates. Each of them has their own unique character, problems, and abilities. An important factor is your crew's morale. You can also develop your crewmates and the ship itself. The fifth major installment in the bestselling series of tactical TPP shooters signed with the name of the legendary writer Tom Clancy. The title was developed by a first party studio of the Ubisoft company. In the game, the player once again assumes the role of a special forces soldier who, together with his team, participates in a series of dangerous missions in such places as Zambia and Dagestan. As the title suggests, the game focuses on the newest achievements of military science, allowing the players to test many prototype weapons and even gadgets like the special camouflage thanks to which a soldier that isn’t moving becomes completely invisible. 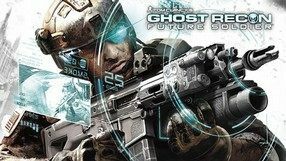 Similarly as in the previous installments of the series, Future Soldier focuses mostly on the tactical aspect and the necessity to coordinate actions in a group. The single-player campaign is supplemented with an advanced multiplayer mode. Fans of weapons can also use a special system which allows for assembly and disassembly of customized rifles and pistols from a few dozen available components. 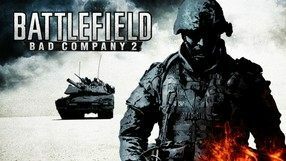 A sequel to 2008's Battlefield: Bad Company - an acclaimed shooter game. Again, the game was created by DICE - a Swedish developer belonging to Electronic Arts. In the story campaign, the player is acquainted with further adventures of the titular Bad Company. This time, Privates Preston Marlowe, Terrence Sweetwater, Corporal George Haggard, and Staff Sergeant Samuel Redford are trying to obtain information on a secret scalar weapon capable of deciding the victor in the war between the United States and Russia. The gameplay here is based on spectacular, first-person shooting sequences, during which the player makes use of various weapons and vehicles. Also, the game offers an extensive multiplayer mode featuring a system of ranks and bonuses. 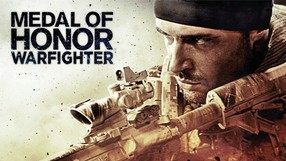 A direct sequel to the 2010 reboot of Medal of Honor – a bestselling FPS series originally launched back in 1999 by the EA company. The game was once again developed by Danger Close (previously known as EA Los Angeles). The story campaign is based on actual events, focusing on a dangerous substance - PETN - used by terrorists. Playing as the characters known from the prequel, you take part in a series secret counter-terrorist operations in Somalia, Yemen, Bosnia, and Philippines. Just as its predecessor, the game clearly separates the single player campaign and multiplayer mode. The latter lets you play as soldiers affiliated with one of the 12 special forces units from all over the world, including U.S. Navy SEALs, German KSK, Polish GROM, or the British SAS. The game is powered by the Frostbite 2 engine, known from e.g. Battlefield 3. 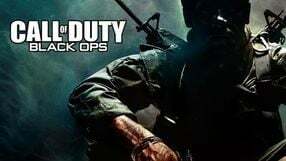 After a series of spin-off productions released for the 6th-generation consoles, the popular FPS franchise comes back in a full-fledged multiplayer installment. In accordance with the title, the events of the World War II are observed through the eyes of Boyd Travers, a paratrooper of the US Army's 82nd Airborne Division. The game offers six campaigns that take place between years 1943 and 1945 in Sicily, Normandy, Netherlands, and Germany, and the choice of the drop point determines our next move to some extent. The developers naturally didn't forget about faithfully recreating weapons of the World War II period, which can be customized by addition of extra grip, different magazines, etc. Contrary to its predecessors, Airborne is powered by Unreal Engine 3 which translates into better graphics, animation, and facial expressions. The above is complemented by an extensive cooperative gameplay for up to 12 players. 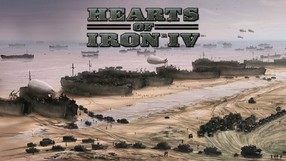 Another installment in the popular historical strategy games franchise by Paradox Interactive, taking players back in time into the period of the bloodiest conflict in history – World War Two. As the player, your task is to come into power in your country of choice – either one of the superpowers of the time, or a militarily weaker country – and lead it through the global conflict. 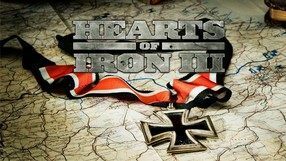 The plot of Hearts of Iron spans from 1936 to 1948, so you can choose to prepare for the inevitable war first. The creators have taken historical accuracy seriously, thanks to which you witness many events that really took place, although much still depends on your actions. The third instalment of the franchise features a huge world map, divided into around ten thousand provinces. In Hearts of Iron III, you can meticulously manage economic and military factors, although the less experienced players may just limit themselves to issuing general commands. It's the first title in the series to feature 3D graphics and customizable resolution options. A game developed by the creators of Mercenaries. The title takes place in Paris occupied by the Nazis during the World War II. In Saboteur the player assumes the role of an Irish man named Sean who begins a guerilla war against the occupant. The gameplay consists mostly of sabotaging German plans and structures, which awakens the will to fight in other citizens. The player must silently eliminate important persons, blow up military transports and kill many regular soldiers. While in the area controlled by the enemy, the action is shown using only black and white colors, like in the movie Schindler’s List – the locations are filled with sadness and emptiness. Freeing regions from the iron grip of the Germans radically changes the atmosphere into one filled with colors and happiness. Sean can fight not only with his fists, but is also capable of using guns, climbing on rooftops and driving various vehicles: bikes, cars, boats and even airplanes. The world of Saboteur is large and open and in the virtual Paris the player can find many characteristic buildings, including the Eiffel Tower. The first installment in one of the most popular series of first-person shooters, created by Infinity Ward. The game takes the player to several different front lines of the Second World War. Throughout 24 missions divided into four single player campaigns, the player assumes the roles of several allied soldiers. The list includes an American paratrooper, a British commando and a Soviet infantryman. The missions bring great amounts of action and diversity as well. The player participates in the biggest battles of World War II, including mainly the Normandy landings, Battles of Stalingrad and Berlin, as well as tactical operations involving sabotage. Apart from that, the game offers several multiplayer modes. 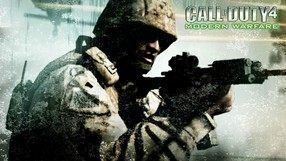 Call of Duty faithfully recreates the historical background - the player can find a set of authentic weapons and vehicles represented in the game. The places and major events were recreated in accordance with actual history as well. Call of Duty utilizes a modified version of the id Tech 3 graphical engine, used previously in Return to Castle Wolfenstein. The third main installment in the popular FPS series, Call of Duty. It is also the first game in the franchise (not counting the console spin-offs) that in the end was not released on PCs. In contrast to the previous installments, this time the game was developed by Treyarch – the authors of the console version of Call of Duty 2. 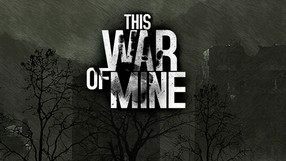 The plot of the game once again takes place on various fronts of World War II. This time one can play as American, British, Canadian, and Polish soldiers. The game mechanics remained almost unchanged in comparison to the previous games. However, there are several novelties. The developers implemented parachute drops and gave complete control over vehicles and boats to the player. Interactions with the surrounding were greatly improved. Overall realism has been improved – bullets behave different depending on what type of material they hit. Multiplayer mode was enhanced as well – now players can play in different roles and communicate using special commands. A continuation to the 2002's best-selling first-person shooter Medal of Honor: Allied Assault, released by Electronic Arts company. Action of the installment, developed this time by the EA's internal studio, focuses on the US-Japan conflict during the World War II in the Pacific region. 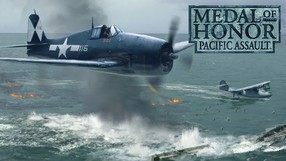 In the game we take part in a series of missions taking place in jungles, military bases and warships – fighting both alone and alongside other members of our squad – starting from the historic attack on Pearl Harbor base and ending with the famous battle of Guadalcanal. Compared with the original, Pacific Assault features much more cutscenes, illustrating ongoing events and changes in the psyche of the protagonist. Individual missions are also characterized by increased degree of non-linearity, which allows us to complete them in several different ways. Concerning technical aspects, the game is built on improved Quake III engine, used in the first installment of the series.